Imagine Dragons is a well known American pop rock band from the United States of America. This band rose into prominence with the release of an album known as It’s Time’ in 2011. The formation of this group started in 2008 when Dan Reynolds happened to meet drummer Andrew Tolman as students at Brigham Young University. Later, they added other members of the group called Wayne Sermon, Ben McKee and Daniel Platzman. The name Imagine Dragons’ was suggested by Reynolds and others gladly accepted it. This band released an extended play known as Speak to Me’ in 2008. 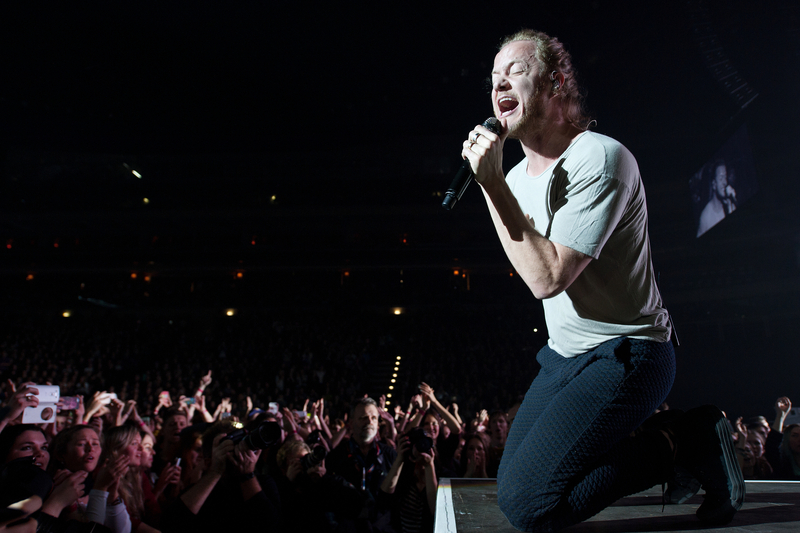 The release of the EPs titled Imagine Dragons and Hell and Silence took place in 2010 and they were recorded in Las Vegas, the hometown of Dan Reynolds. With the release of the third EP It's Time’, they managed to sign a record deal. It was just a beginning for this ban. Their studio album Night Visions released in 2012 was a very big hit. It was an award winning album and the singles known as Demons and Radioactive became chart-topping hits. They managed to reach on top of Billboard’s Year on Rock rankings in 2013. Billboard also picked Imagine Dragons as the Breakthrough Band of 2013. According to the Rolling Stone, Radioactive was the biggest hit of the year (2013) and this single also has the record for most weeks on the Billboard Hot 100 charts. MTV chose this band as the biggest breakout band for the year. Another major album of Imagine Dragons Smoke + Mirrors released in 2015 became the number one hit in the UK, Canada and USA. Then, the band conducted a world tour spanning ten months. Although there was break in 2016, they released another studio album called Evolve in 2017 and it was a very big in several countries. Although this band won several awards like World Music Award, Grammy Award, Billboard Music Award and American Music Award and their all albums were commercially big hits, they received mixed critical reception. The lyrics and music style have always been under constant scrutiny. Find out Imagine Dragons lyrics you love and enjoy! ● paraphrased of the song thin..